We are engaged in Manufacturing, Supplying and Exporting of Deep Freezer to our prestigious clients. 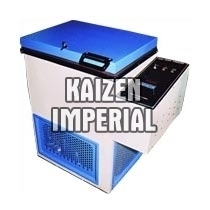 Made from superior quality of raw materials, our Deep Freezer is highly durable and effectual. Our Deep Freezers are actively working in various commercial establishments, bakeries, hotels, restaurants and pharmaceuticals company.